It seems that if you consider these four ideas, you are well on the way to manipulating the psychological variables that can nudge people towards buying your product. Now by that token, it might make sense to control these variables to the max, and make an advert that is bursting with emotional triggers to impact your memory, to capture your attention such that you cannot avert your eyes. To fill you with favour through appealing to your heart strings, your wallet or your other drives that it becomes so meaningful to your circumstances that you won’t be able to help running to the store and purchasing a new product. Okay, enter Honda commercial. I watched this one and thought to myself that it was nice. It’s a bit long, and kind of quirky. Subjectively, I enjoy cars, and I have been long aware of Honda’s ‘power of dreams’ ad campaign. I believe they make a good quality car, but I am not head over heals to buy one. So it made me wonder what is the point of the ad? Well thinking about it, the reason why it does little for me is because I am not their target market. I am a poor student, and I can barely afford to keep up a bashed up Rover 25 that’s been hit by a truck. I’ve told myself that as far as bare essentials transportation is concerned, the car is a necessary burden. The one I have gets me from A to B (like most do), and that therefore there is no difference whether I drive an old Rover, a Honda, a Mini or whatever. But if you can step aside from the costs of living, the increasingly short supply of fossil fuels and all the safety initiatives that dampen your fun (which I think many mid range earners can), the Honda suddenly becomes desirable. It is the drivers car, it is multipurpose and it has an air of quality to it. The a cappella sounds not only draw the viewers attention to the ‘niceness’ of the experience while using the car, but also instil a fondness to the day to day involvement with the car. Overall, if you can get yourself into the mind-set of the average, middle income consumer, why would you not want to channel some of your surplus cash into a new Honda? You need a car anyway, why not get one that feels nicer, and which can help you pursue your dreams (to go exploring recreationally). You have to commute anyway, and this car will be an expression of your desire to get out and enjoy yourself. Going back to my original point about attention, emotion, behaviour and recall, I felt that while watching this ad is cool, it didn’t use any of these principles. Instead, it struck me as something of a work of art. But even as all art is meant to portray a meaning, I believe this ad does convey a meaning, and to the target audience. It does instil a need for the quality, precision and nostalgia of going exploring in a Honda. This week I am commenting on a TV advert produced for the American audience of Russia Today. For those of you who don’t know Russia Today, they are an international news agency whose slogan ‘Question More’ is thoroughly congruent with their critical thinking alternative to western mainstream media. As their title suggests, they originate from Russia. We know that emotion has a lot greater leverage in the heat of the moment to affect behaviour. Last week I described how media outlets and the press capitalise on peoples’ prejudices to activate this emotion and to get them to think any way but rationally. In terms of emotion this ad certainly carries some, however it’s unique portrayal perhaps reverses the ‘emotions rule’ rule. What I mean by this is that this ad serves to educate. Considering the dichotomy between emotionally driven behaviour and rational thinking, this ad presents a rationale. The news reporter from RT explains the conflict of interest between mass media and politicians. Clips of laughter are then congruent with the statements that the ‘joke is on you’, and that the news is not actually that funny. The video evidence of politicians and recognisable American news reporter laughing overtly brings a surreal evidence that what is being said may even be maliciously true. It is provocative set of statements, for which the independent nature of Russia Today is then presented as a solution. Russia Today becomes a solution to the need for a more critical approach to the news. It is also presented in an ‘alternative’ style, which many viewers who feel they are being lied to, or that their voice is not heard will relate to. All of this creates an attraction and a deeper need for Russia Today. Finally, I really like Russia Today’s tag line: ‘Question More’. This is in line with the scientific method that undoubtedly many have come across at some point in their education. It refers to the concept that knowledge and understanding are advanced through questioning and maybe even ‘whistle blowing’, and it implies that Russia Today is a news agency that thinks differently to the status quo. This is a thought-provoking ad, which stirs emotions to amplify the need for a more transparent and critically thinking news agency. The ad seems almost unnecessary, given that it will only ever be aired on RT’s own channel, but it is a useful tool to retain viewers and strengthen their perception of why they should watch Russia Today. I did something this week that I’ve always wanted to do. I picked up a book and started reading Freud. 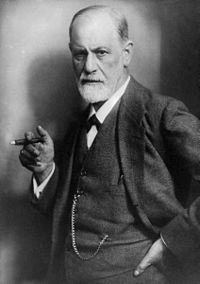 Now many people have chosen to disregard Freud, because he rejects the scientific method and talks openly about taboo topics. I believe though that Freud peaked exactly in his time. There is rich symbolism in Freud’s theory, which people cannot understand until they pursue some real depth of thought. I wonder about the interaction between Freudian psychology and religion. I am not talking about whether Freud had a religious conviction himself, but the more salient role of symbolism driven by religion in his time. Carl Jung as a lecturer referred to Christian teachings during his elaboration of certain psychoanalytic concepts. Indeed, due to increased engagement with religion, and the symbolism found in the biblical account, the church of England, and of course the growing field of philosophy, I believe people understood (at least if they wished to) what Freud was trying to do. And the theme of digging into your past and looking for repressed issues is prevalent in all sorts of program today that hold high repute. Alcoholics Anonymous invite their attendee’s to make ‘a searching and fearless moral inventory of ourselves’. It helps people delve into their subconscious, understand themselves and find closure to past experiences. I’m going to go into some very unscientific territory here. If certain therapy does or has involved seeking a connection with God, then surely the success of that therapy depends on whether that faith is true. Since the nature of faith is that it is placing confidence in something without empirical evidence, science will never establish cause and effect. But if there were a spiritual principle at play, those who embrace it would surely find success in the treatment. Freudian theory was devised in a time of more religious excitement than we find today. 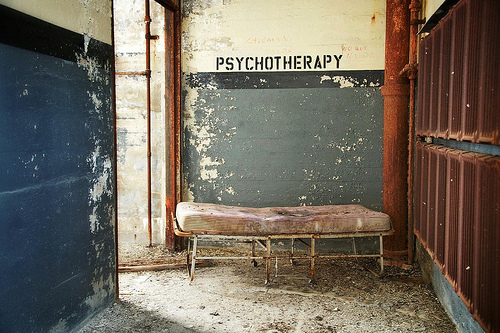 Psychoanalysis has strayed away from that, in order to seek to acquire more scientific reputate. But if the religious principle were true then the therapy would have greater use for those engaged in practising those principles. I believe there is some worth of Freudian theory. Is it empirical? No. Is it even in anyway medical? Not really either. But they are interesting. Forget Superbowl commercials, this week I want to talk about an antique, or perhaps maybe a relic from the 1980’s. This advert rolls on the theme of British protectionism combined with a bit of ‘we won the war’, at a time when vehicle imports and pan European trading were heating up the competition for British Leyland. We hear the iconic ‘Rule Britannia’ playing as this band of Metro’s pass across highway and through village, adding value to everything we equate with our traditional past. We also see iconic celebrities of the day; Arthur Lowe from ‘Dad’s Army’ saluting the car, on the backdrop of the union flag. We see a cheerful senior citizen waving her handkerchief from the window, reminiscent of the glorious homecomings of our military at the end of the war. Now let us consider the psychology used for a moment. I would imagine that this advert was successful. It has emotional significance, so it would be memorable, and it would gain the favour of it’s audience. It is also demonstrative of the car’s functions (that it has lots of space and good fuel consumption). Psychologically this would all be very effective, but is what they did right? In a recent interview with Margaret Heffernan on wilful blindness, she explains how today’s press and media feed our established prejudices to affect our behaviour. This certainly influences peoples’ actions, however it does so on a very shallow, improperly though through level. Ultimately, this is what the Metro advert does. We the British were very prejudiced after the war, and have been slow to warm to our European neighbours. This feeds that prejudice to motivate people to buy a British car over a French, Italian or German one. It sent the message that a British car would not just be good, but it would protect British workers and culture. The irony that confirms all this is that the Metro was one of Leyland’s most notoriously hideous cars. Their reliability was bad enough, but the rust and corrosion meant that in a short space of time most of them landed in the scrap yard. On the other hand, Renault, VW, Fiat and Nissan are all big global players today. The ‘British car to rule the world’ was clearly more based on emotion than hard premise. During Apple’s return to the ‘big league’ in the late 1990’s, Steve Jobs paid special attention to how Apple products would be sold to the end user. He didn’t want to see an iMac sitting on a shelf between a Compaq and a Dell; instead he wanted to control the retail experience (Isaacson, 2011). Naturally this allows for greater control of psychological variables, which leads to higher sales performance. I’m going to discuss a few of those variables now, particularly in relation to the language of their staff. Prior to coming to university I handled customer support in a well-known retailor of computer equipment. I will say now that we were not the most helpful at getting the users device back up and running. Because this was a regular occurrence, we developed a language and a manor of saying ‘unfortunately there’s nothing I can do’. Apple by contrast prohibits the use of the word ‘unfortunately’, and instead they say “as it turns out” (Business Insider, 2012). What this does is it pronounces fault upon force majeure, instead of placing it upon Apple and their repair process. This brushing off of the guilt directs the customer’s frustrations away from Apple and towards a ‘crap-happens’ perspective. Another language factor that is controlled is pronunciation of product names. If someone mispronounces iPad, then the iPad will be pronounced the same way the customer has pronounced it (Business Insider, 2012). Since pronouncing is quite a subjective matter anyway, this philosophy respects the customer as an important equal. This would lead to feelings of empowerment and a perception of a good relationship with the Apple brand. A similar approach has been taken with brands such as GAP. 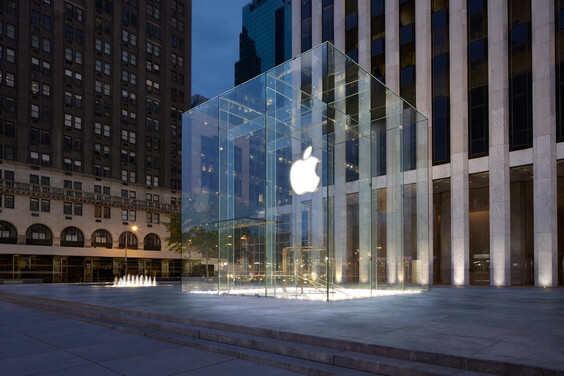 Jobs’ approach of maximum control over the product experience, as well as his meticulous attention to detail, has contributed to the success of Apple, not in the least in the factors described above. Have you ever been told to ‘try and go to sleep’? Or to ‘try and forget something’? It’s one of those things that we just don’t do well. Ironically it is the same with remembering. Some things one remembers well, other things just don’t come. Yet even at higher education it seems to be the make or break for academic success. Last week I wrote touching upon the processes that take place within learning, and how understanding these processes is the key to understanding learning. Connectivist learning theory furthers this in suggesting that with the changing in times – to the world of information abundance – which the real benefits of being educated are not that one is a walking book, but that one knows how to manage information (Siemens, 2004). Where to find it, what it really means, whether it is valid or not and so forth. Knowing things was never any use to anyone until it could get a job done. This week I set a goal to have the introduction section of my dissertation complete. Most of my peers thought this was a very ambitious goal – to write a 2500 word argument. And by comparison they would be right. The thesis is by far the largest assignment we will write. But it is only 6000 words. My blogging experiences of last semester, however, have brought me to accept that it is reasonable for the academic world to demand rigor. On the topic of rigor, I would like to draw attention to the ‘Rigor/Relevance Framework®’ (International Center for Leadership in Education, 2012). This theory postulates that real learning goes far beyond acquisition of knowledge. Assimilation, adaptation and application are all further steps in learning something to a higher level (Daggett, 2005). I might know now the mechanics of long term potentiation within brain neurons. But have I taken that knowledge and found out how it is used in practise? Have I considered how I could add to the research? Have I spent any time really getting into the opposing theories and the critiques? Sufficiently that I might properly be able to form novel ideas? Or am I held to ransom by the tyranny of more course content, to pass the exam? Even so, the idea of having more analysis, synthesis and evaluation doesn’t sound that demanding does it? Here’s how I see it. The dissertation is demanding, because I have never done it before. And it is a piece of work that does call for the above described skills. I have a novel challenge to meet, I have something to become. A change needs to take place in me. We all know plenty of tricks for knowledge acquisition. It is often an associative process, so Skinner boxes and behaviourism tell us we will all get there in the end. The problem is that it’s boring! It’s just how it is that actually changing who we are, and learning new skills is hard. We are teaching ourselves new processes. And the content looks after itself. After I complete my dissertation, I presume the next one will be easier in some respects. On the other hand, it will likely be longer, deeper and therefore harder. But that is its way of breaking my intellectual muscles that I can grow further. With that in mind it is no more complicated than the old adage: nothing ventured nothing gained.